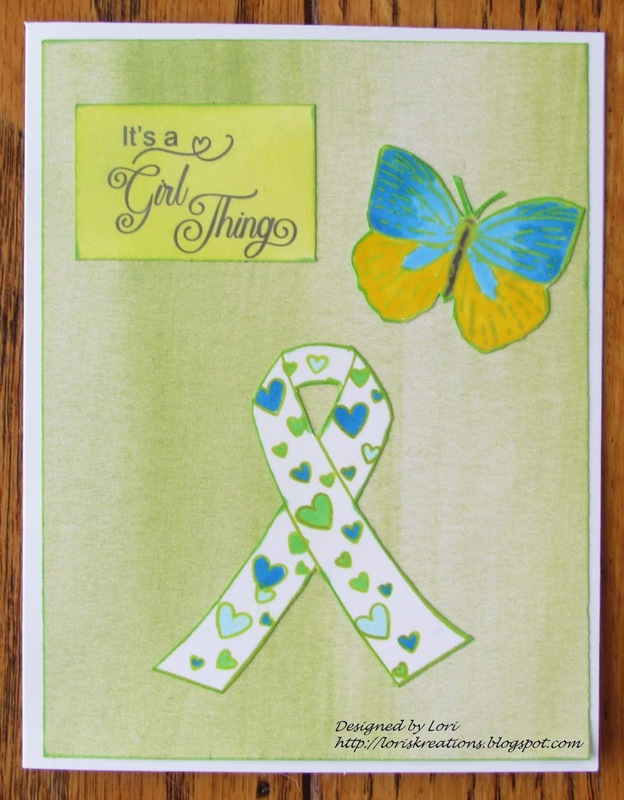 Welcome to the "It's A Girl Thing" Turner Syndrome Awareness Inaugural Blog Hop! 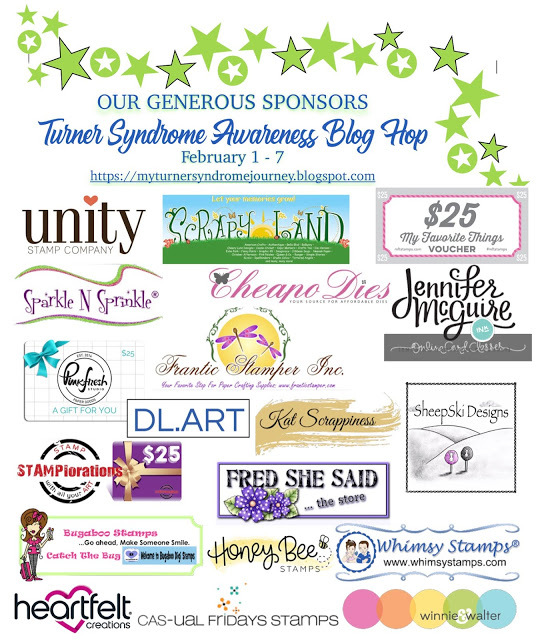 We have 19 Wonderful Sponsor and 11 Design Team Members that have partnered with us to bring Turner Syndrome Awareness to the Public! For details on how you might win any of these prizes please see My Turner Syndrome Journey page. Thanks for learning about Turner Syndrome. Here are some of the cards I made for this blog hop ~ all of my cards are on sale on the Cards for Charity Facebook page with all the money being donated to the Turner Syndrome Foundation. Some of the other Designers have sent me their cards to sell also!! And here is my Amazing and Beautiful Butterfly ~ Julie!! If you would like to make a donation to the Turner Syndrome Foundation I have a fundraising page set up here. 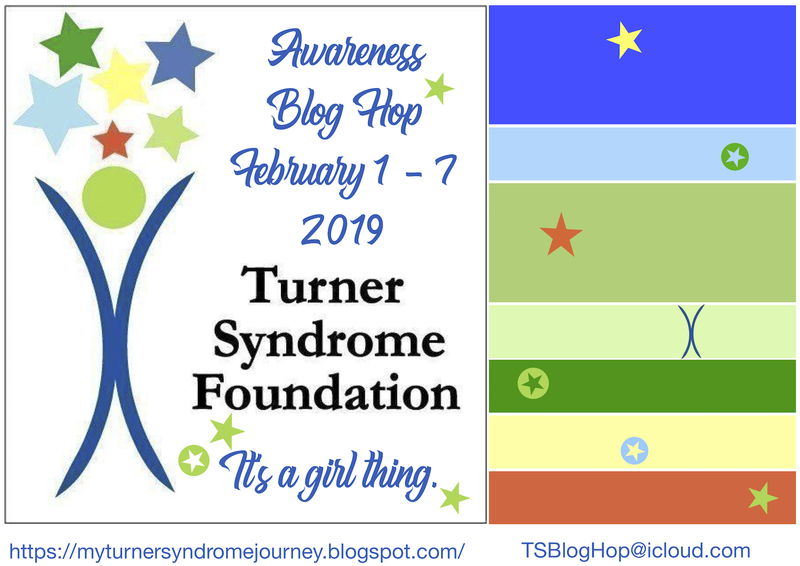 **Please be sure to stop back at the "It's A Girl Thing" Turner Syndrome Awareness Inaugural Blog Hop page to see the list of other blogs to keep on hopping!! How to be be eligible for Sponsor Prizes!! Go back to the "It's A Girl Thing" Turner Syndrome Awareness Blog Hop page and tell us something you learned about Turner Syndrome in the comments section and then comment on some of the of the other blogs along the hop. You are not required to comment on every single blog, but the more you comment on, the more chances you have for winning!! Lori, wow! All of your cards are beautiful. I truly appreciate all the work that has gone into this important hop. Julie IS amazing. Thanks for the invite. No need to put me in your prize drawing. Wow! 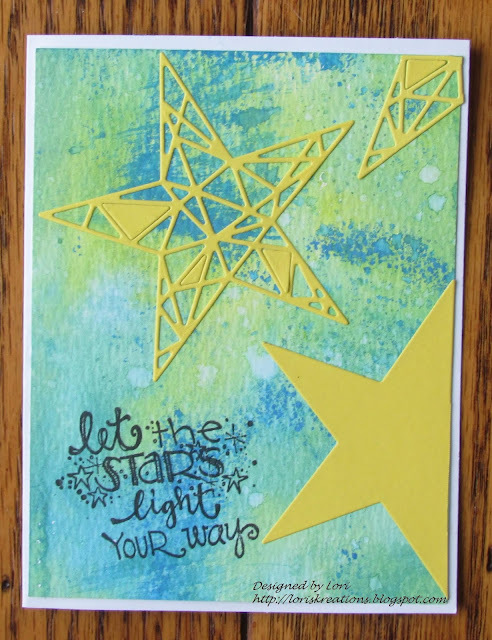 Such a fabulous array of wonderful card creations, all using the TS colors, Lori! You have been so busy, and I know it is all a labor of love. Gorgeous creations! Thank you for letting me take the awareness journey with you, and for letting me get to know you. SO FULL OF LOVE YOU ARE! Wishing you a wonderful week-end! Your cards are stunning but none of them compare to your beautiful Julie and her smile! Lori your cards are beautiful! I love them all and what I love about them is their sentiments, they are so lovely. This hop and your story has brought me the awareness about how pre term babies can have problems that one might not have even heard of. But I also believe that God blesses these special children to the most patient and loving couples, the ones who can give these children the love others can't. I must also say that Jenna, even she's the one chosen by God to get Julie's love. You are such a lovely family and Julie is Amazing! Thank you for creating awareness about something that happens amongst 1/2500 female births. I hope more people get to know about it and more research is done about it too. Amazing projects. I especially loved the touch of the butterfly references in most of them. Julies smile in the pictures on the page for your journey I am sure was a huge inspiration. 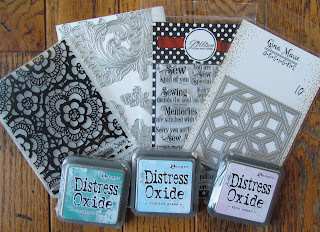 What an array of amazing cards Lori! 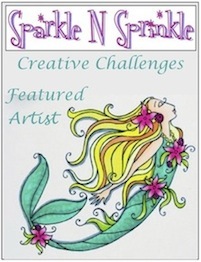 I'm so glad to have been part of this awesome awareness blog hop. This has been an education for me, having been totally unaware of Turner Syndrome before now. Julie is blessed to have you as her Mom! 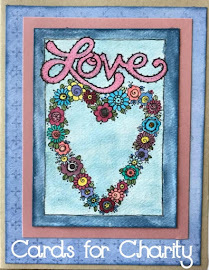 So many gorgeous cards - love them, esp the colors used from the banner. What a gorgeous young lady, a blessing from God! Thank you for creating more awareness of this syndrome - bless you! wow beautiful cards you made !! Love them. 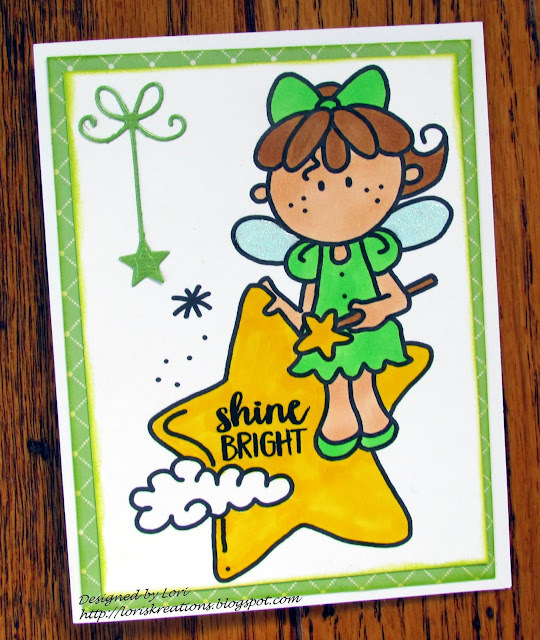 Thanks for having me on the blog hop. WOW! You've designed a gorgeous array of cards...elegant and classy; whimsical and magical! They're all delights, but what truly captures my heart is the photo of *your* butterfly! Your daughter is lovely, precious and yes, a miracle! Thank you for sharing her with us! I am honoured to be part of this hop! Thank you for your education on this syndrome. Probably like many others I had not heard of it. What a beautiful array of cards! What strikes me the most, I love all the sentiments! They share such love! Wow! What a stunning lineup of cards -- the first one is my absolute favorite! Julie is amazing as well! Wow..what an array of stunningly cheerful cards! 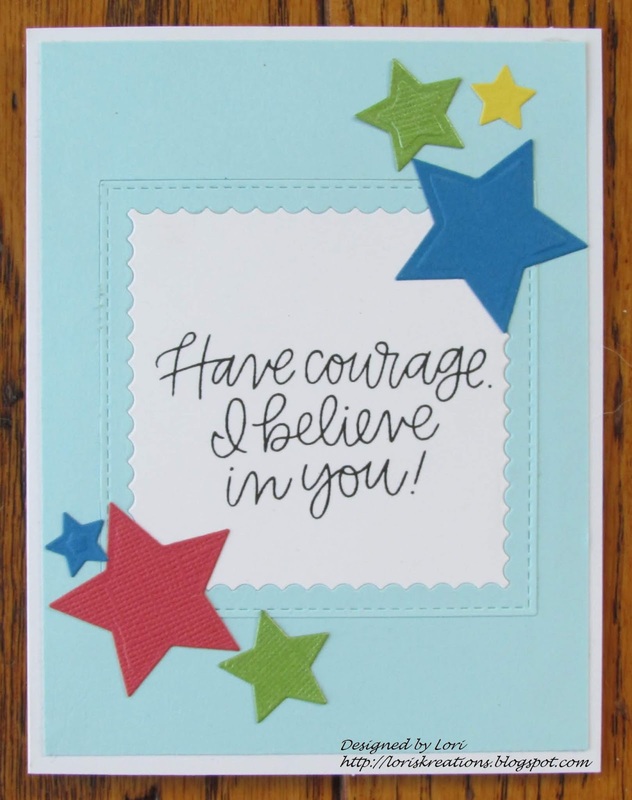 Love the sentiments on all cards which are so encouraging and loving! Thank you for making us all more aware of TS. Hugs!! Wow Lori, You have created and made awareness of the Turner Syndrome. Thanks for inviting me to be part of this Blog Hop to enlighten the world. Blessings and hugs to you and all the Children who have Turner Syndrome. Lori, thank you for setting up this hop. You are amazing, Julie is amazing and thanks for bringing awareness of this to so many. All your cards are beautiful. Wow Lori, you have 'rocked' the hop with all these amazing (and I mean AMAZING) cards!! All are beautifully created and I love your very special and happy butterfly Julie photo...she has an wonderful mamma!! Thanks for letting me be a part of this Turner Awareness Hop!! Beautiful cards and beautiful kids! All of your cards are amazing! 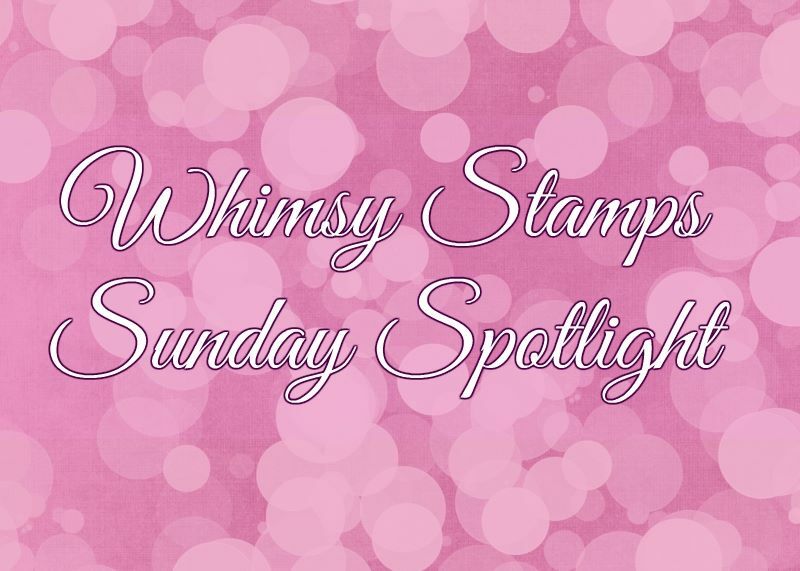 Fantastic job putting this blog hop together too!! Love the photo of Julie and the caption you have with it. 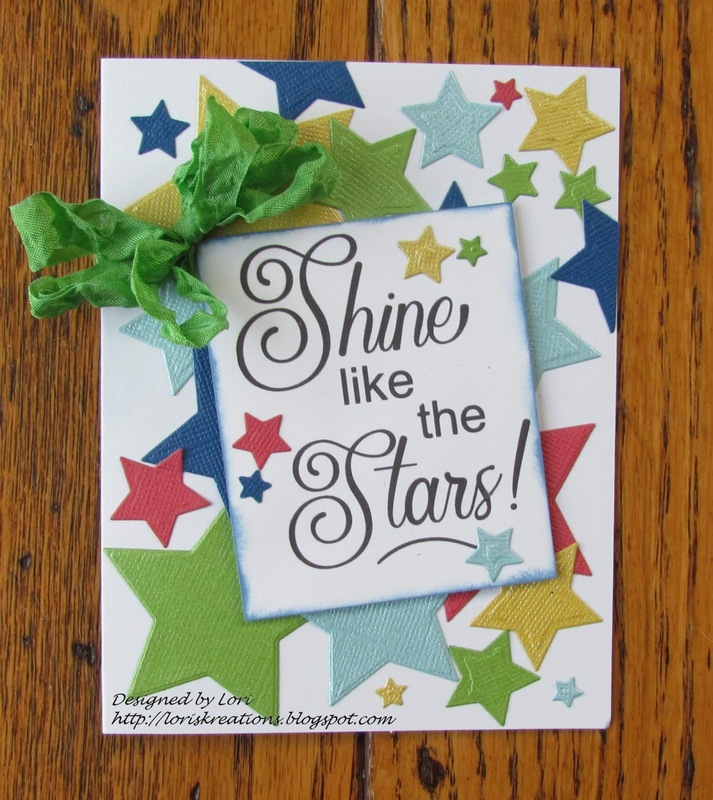 What an amazing job you've done on this blog hop, Lori - congratulations! 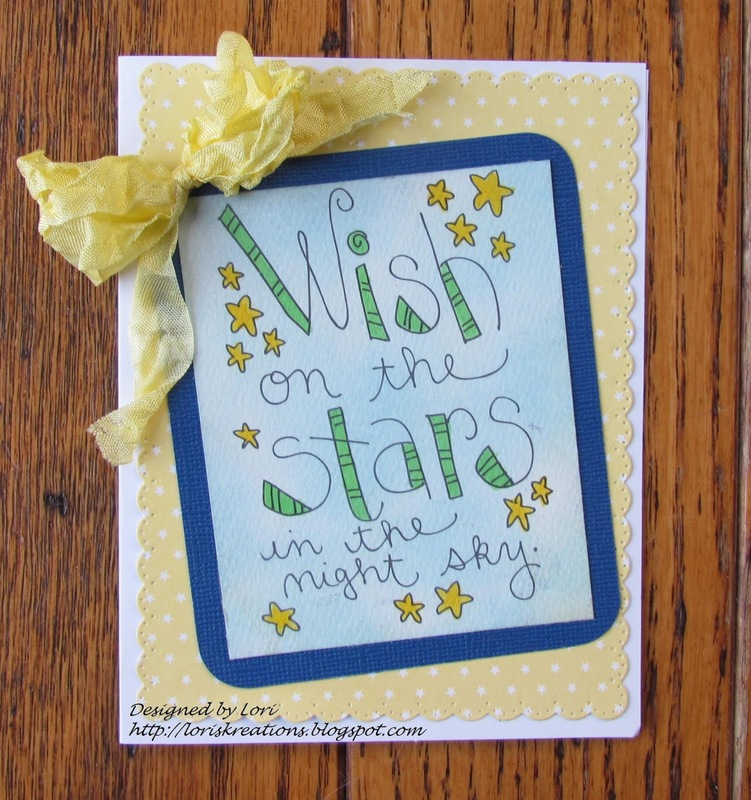 Wow, I love all your cards but my favorite is the one with the stars. Thanks for putting this hop together and spreading awareness for Turner Syndrome and for introducing us to your beautiful daughter. Lori, what a fantastic hop to raise awareness for TS. Your daughter is beautiful and you have been blessed! You have a fantastic collection of cards. Thanks for inviting us to participate and all the help! Beautiful cards for a great cause! 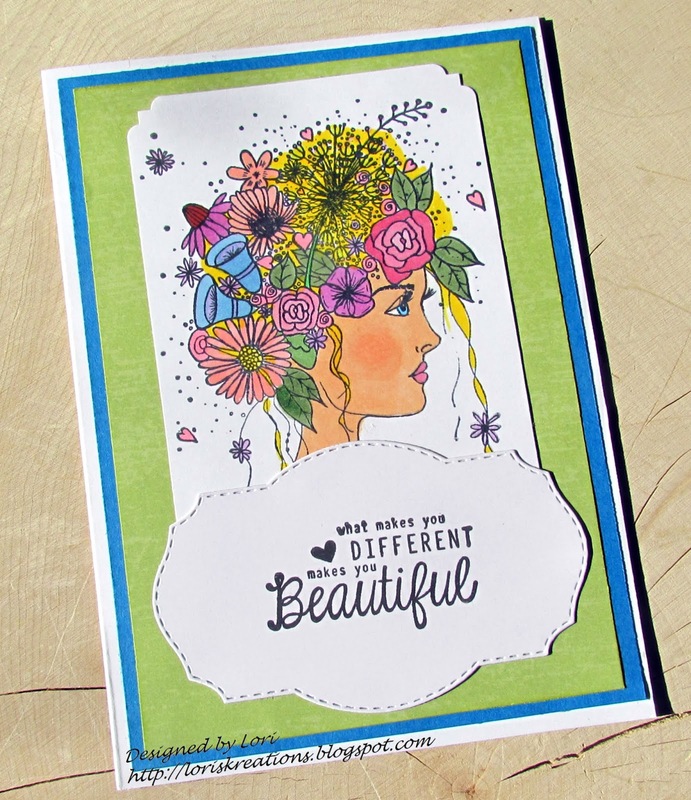 Wow- what beautiful cards and a beautiful girl too! Thanks for helping us all become aware of this syndrome. I can't even begin to tell you how amazing this is! Your cards are simply AMAZING Thank you so much for sharing with us! What a beautiful young lady!!! Your heartfelt story really touched my heart, Lori. I had a similar situation with my son protecting me and having to make a hard decision like you did. thank you for finding a positive way to support something near and dear to you. Wow Lori!! You have been busy <3 And your prize package is BEAUTIFUL ;) I love the variety of cards you made. 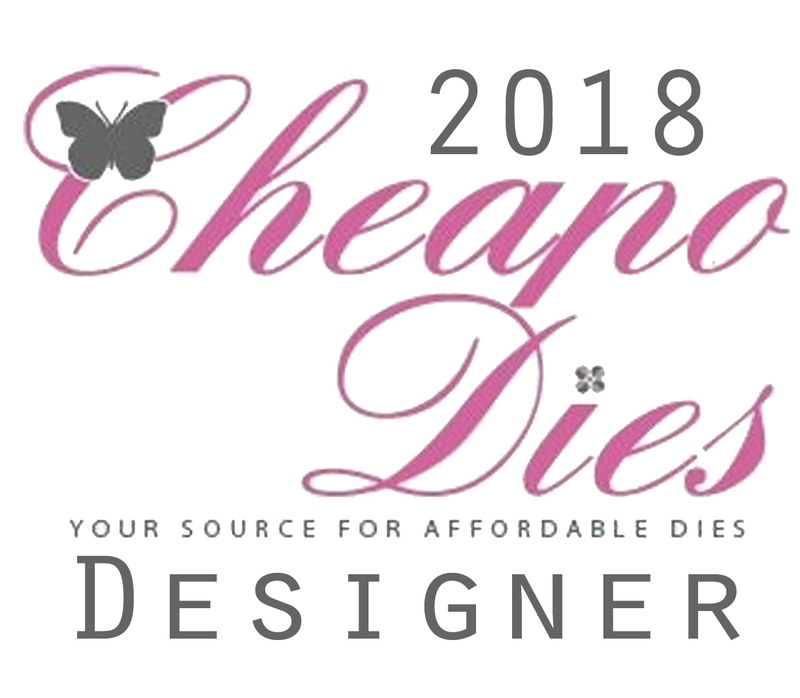 The one using Cheapo Dies is probably my favorite!! Plus I LOVE the name of their company!! My favorite picture is of course Julie!! What a happy photo!! I enjoy all your projects and they are all stunning!!! your cards for TS are amazing! My favourites are the girlpoweracard and the second card, with the butterfly. TS was new for me. Good idea this bloghop to learn something about it! All the best for you and Julie! 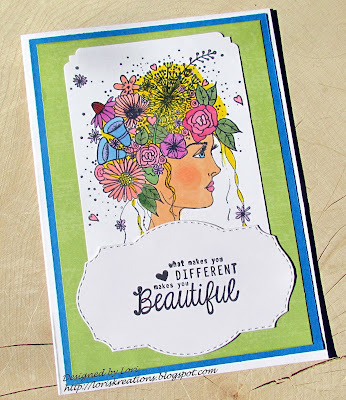 Beautiful cards, Lori! The first one especially caught my eye. The sentiment and the beautifully colored image are just so lovely. I'm also a big fan of Unity stamps. Thanks again for sharing your story. I have never heard of TS before now, thanks for sharing. You made a lot of amazing card, I can't choose a favourite! I can SEE your creative HEART in them all. Thank You so much for sharing about this genetic disorder and increasing awareness & knowledge. I feel quite overwhelmed at all the associated health issues, the usual lateness of diagnosis and ongoing challenges of balancing the treatments. Julie sounds very special and she is very lucky to have such caring parents dedicated to ensuring the very best for her every step along the way. 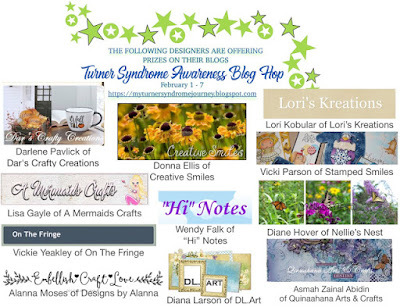 Thank You being such a wonderful spokesperson for Turner's Syndrome and wishing you a successful Blog Hop. Fantastic cards Lori. TS needs so much more awareness raised, unfortunately like so many other conditions. This is a beautiful way to get people's attention & spread such an important message at the same time. I learnt so much on the TS site, thank you for having a gold heart. I was unaware of Turner Syndrome until this blog hop so it is helping spread the knowledge of it around. I enjoyed seeing all your pretty cards too. Each is well thought out and perfect for this cause. WOW! These cards are all just beautiful!!! Great job of bringing awareness with your hop! So happy I could help in a small way! HUGS to Julie! 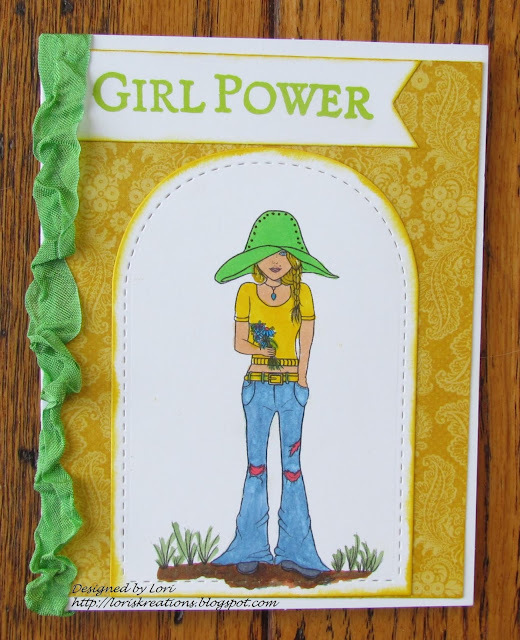 Absolutely amazing cards, Lori! Wow! Your daughter is beautiful. I received a facebook message last night from my niece who follows my business page, she told me she didn't know about Turner Syndrome until a month ago, when she began babysitting an amazing little girl with the syndrome. She told me she is such a sweet girl... and fierce! 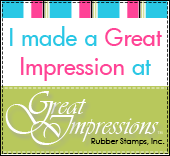 Thanks so much for the opportunity to sponsor and participate in the TSA Blog Hop! 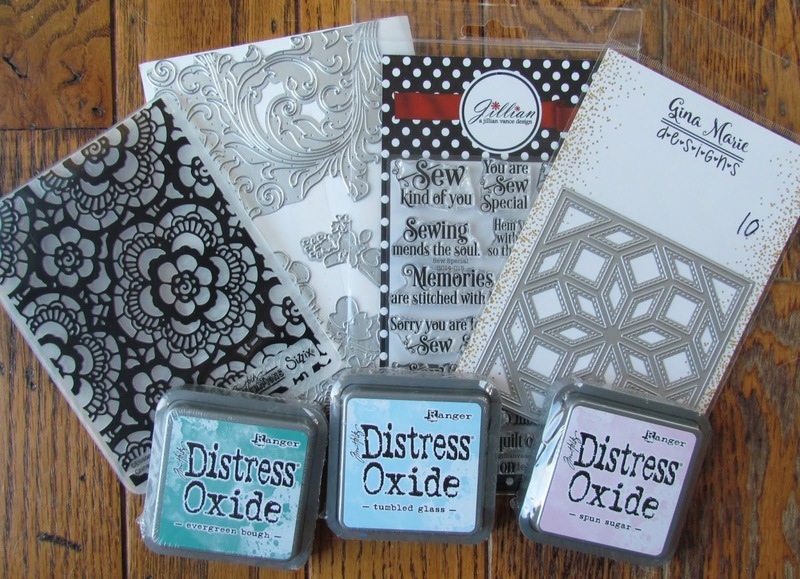 Your fabulous collection of cards is perfect for this communicative blog hop, and your precious Julie is just as beautiful! Thanks for being part of this TS hop. I have never heard of this syndrome. 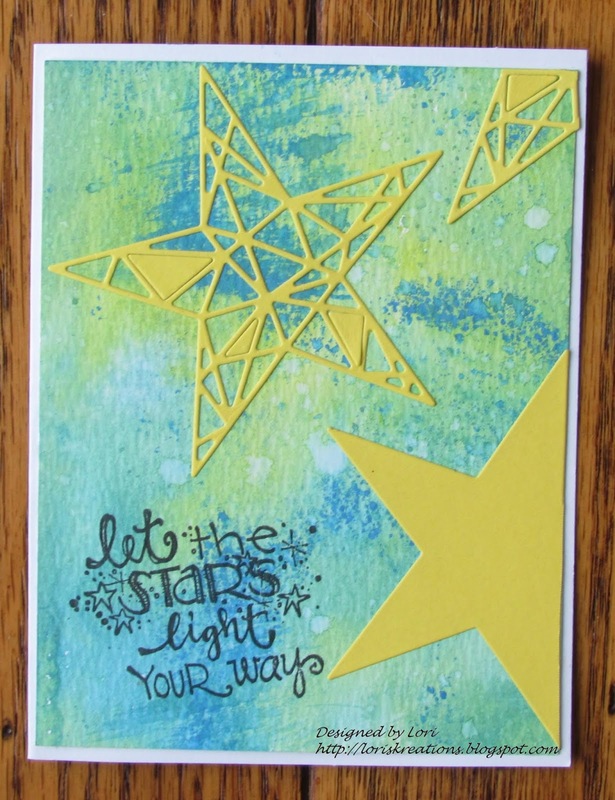 I love your cards especially the multifaceted star card, thanks for the chance to win! Your cards are amazing! 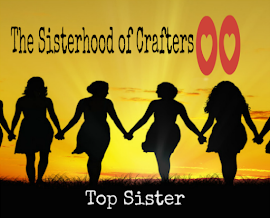 Thank you for the opportunity to participate in the blog hop and raise awareness! 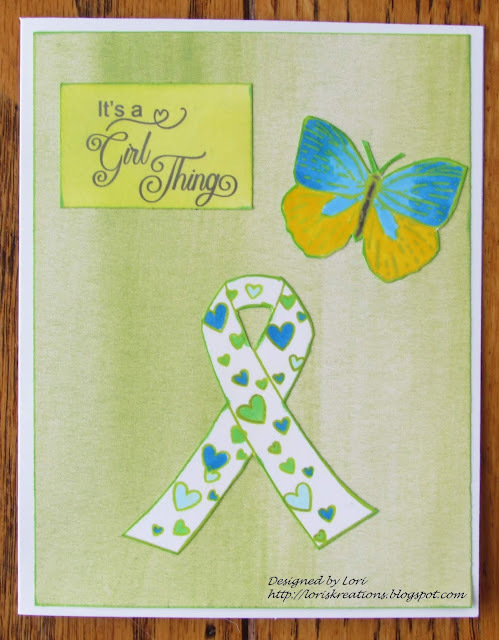 I love all those beautiful cards you made and thanks for sharing so much information about this syndrome. Give your little Julie a hug from me as well. She is a sweetie! Beautiful cards!! Thanks for sharing all the information about Turner Syndrome...have never heard of it and glad to be more informed!! Each one of your cards are really amazing. I think many of them could work for several different occassions or maybe for no reason at all. Sometimes that is the best reason to send a card, just to let someone know they are loved. I gathered from your cards that you understand that well! By the way, I don’t have a favorite, I like them all. Such a sweet photo of your beautiful butterfly! Love all of your cards and thanks for bring awareness to Turner Syndrome. Beautiful cards! And well done on fundraising and raising awareness of Turner Syndrome. Your story was uplifting and inspiring. Oh wow Lori!! I want to say first that I'm so completely impressed with your hard work and dedication towards this cause and your gorgeous creations that you've made to both help in this awareness and to help raise funds for the foundation! 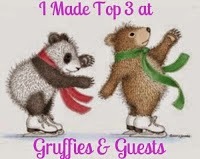 They are ALL completely amazing and you've done such an awesome thing by sharing your makes with the sponsors! I'm truly blessed to know you and I'm so happy to have learned about this through you sharing information about your beautiful daughter!! Lots of hugs and best wishes on all of your hard and amazing work! Wow! Your cards are beautiful! organizing this informational blog hop. Enjoying this awesome hop and learning about Turner Syndrome! 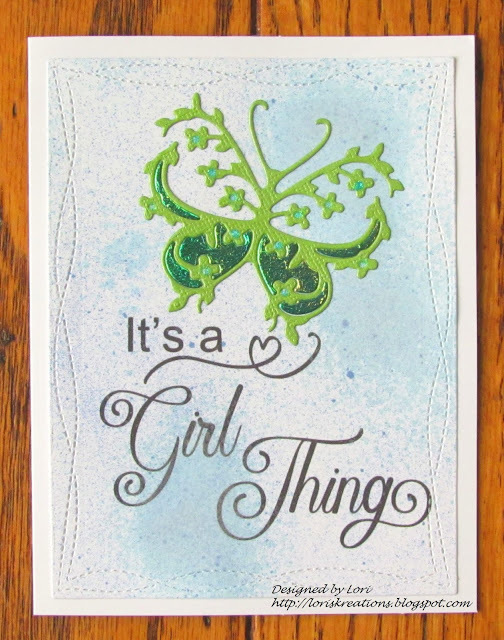 Beautiful cards, and I particularly love all the butterfly cards! I love that you call Julie your Amazing and Beautiful Butterfly! All of your cards are so beautiful! Not only are you generous, loving, and giving...... You are amazing! I will definitely visit your etsy shop. Thank you for spreading the word about TS. I've learned a lot from reading your story, TS page, etc. Thank you and bless you. Hi BrendaLea! 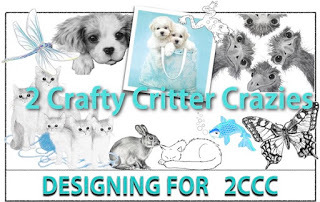 I no longer have my etsy shop, but I do have my Cards for Charity facebook page where you can purchase cards! 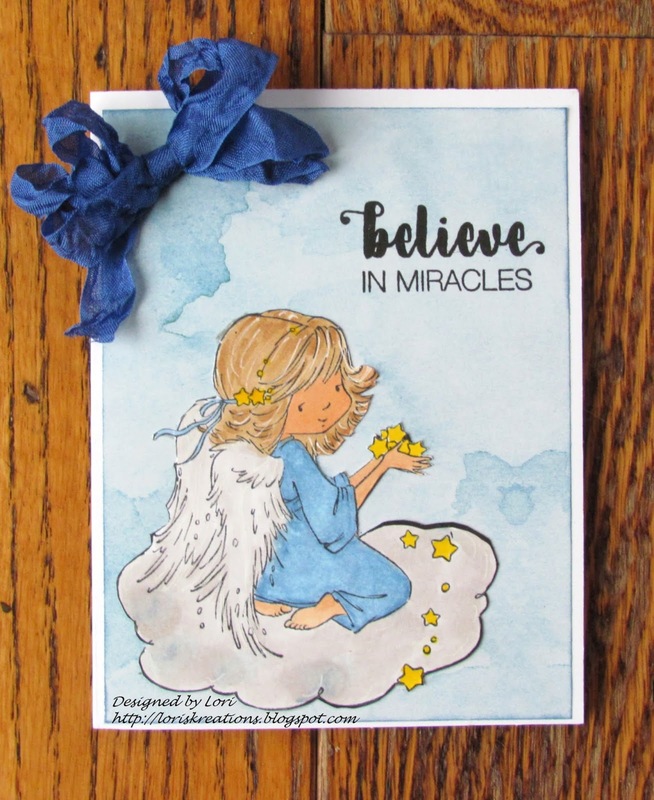 Some of the generous Card Designers for the blog hop have donated their cards to be sold with all the money going to the Turner Syndrome Foundation! Wishing you the Best! Your cards are just Beautiful!! I've seen them on FB. You have done an amazing job as well as this amazing hop. A wonderful cause. Hugs to Julie and to you!! Such beautiful and amazing cards! Perfect for this hop! These are all amazing. Julie is lucky to have you as her mom and that you care so much. Your cards are so sweet and adorable! I love them all!! I loved all your cards but the first is my absolute favorite! So many lovely creations! 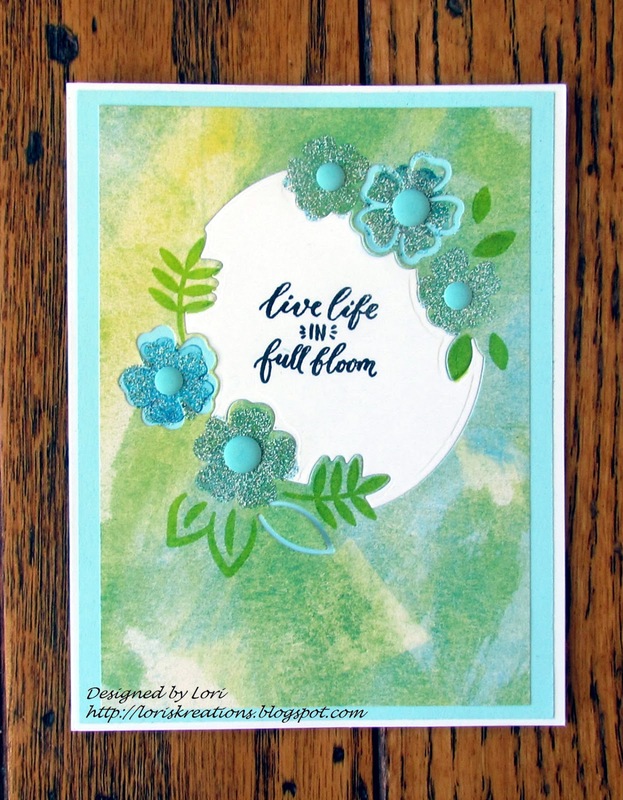 I think your Live Life in Full Bloom card is just extra lovely!! Thanks for organizing this amazing event to help educate us on the miracle that is your Julie and the other amazing Turner girls! Wow, what an amazing collection of cards! This is my first exposure to Turner's Syndrome and I thank you for bringing awareness to this cause that is so close to you. Lori is beautiful and I enjoyed reading her journey. Beautiful cards. I love the color choices. Thanks for sharing your creativity and your passion. Thanks for sharing the wonderful variety of cards and your Amazing and Beautiful butterfly. Your cards are lovely, thanks for the Hop. As always your cards are gorgeous. I really like the butterfly one that says Love Life. IT really signifies everything that you are trying to promote here. Thanks for raising awareness about this Syndrome!!! This is a great hop!!! What a gorgeous set of cards!!! They're all so lovely! Amazing colouring!!! Thanks for this chance to win! Lori, all your cards are beautiful. I especially love the one with the colorful stars. Thanks for letting me be part of your wonderful hop. Wow....you made a card with products from each of the sponsors, didn't you? Amazing and beautiful....just like your precious butterfly, Julie! Thank you for this hop! Blessings and hugs to you!!! Many beautiful cards. I like the variety of "tools" and styles of cards. I love ALL of your beautiful cards! It's so much fun seeing all of these girl-forward themes and designs, and the color palette if bright and cheerful too! Thanks so much for being a part of this great hop! wow, what a collections of cards, so beautiful! Wonderful cards. Love them all. Julie is so sweet. Beautiful cards! Thank you for making me and many others aware of Turner Syndrome. I never knew it existed before I read this blog hop. Your cards are beautiful, and I love the colors. I learned that Turners Syndrome only affects females, and that it can cause difficulty with math comprehension. 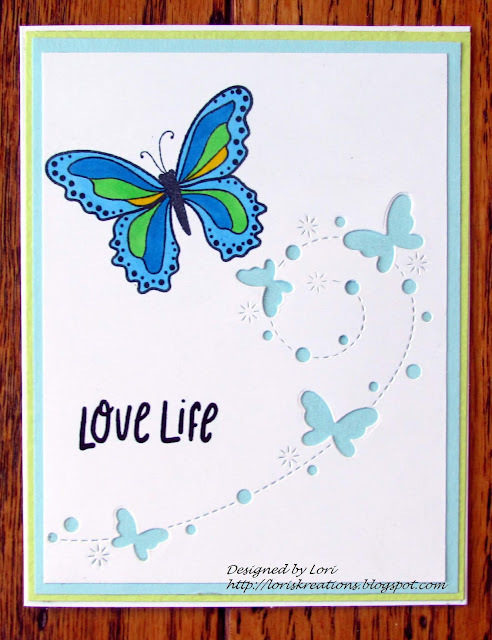 I like that many of your cards have butterflies on them, because to me, a butterfly symbolizes new life. That is what I hope the TSF will make possible through spreading awareness of this condition. Thank you for all of the cards. My favorite is the one with the butterfly die. 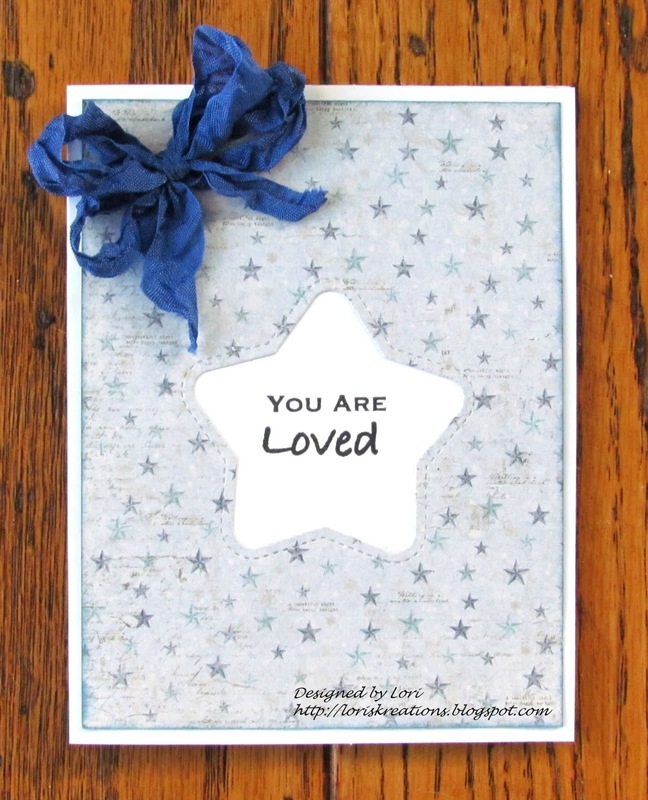 Thanks so much for your blog hop. My unborn great neice has been diagnosed with Turner Syndrome. I appreciate this blog hop. Blessings! Beautiful cards! I love the blues and greens. I have never even heard of Turners Syndrome. Sorry! But thank you for enlightening me. Wonderful cards. 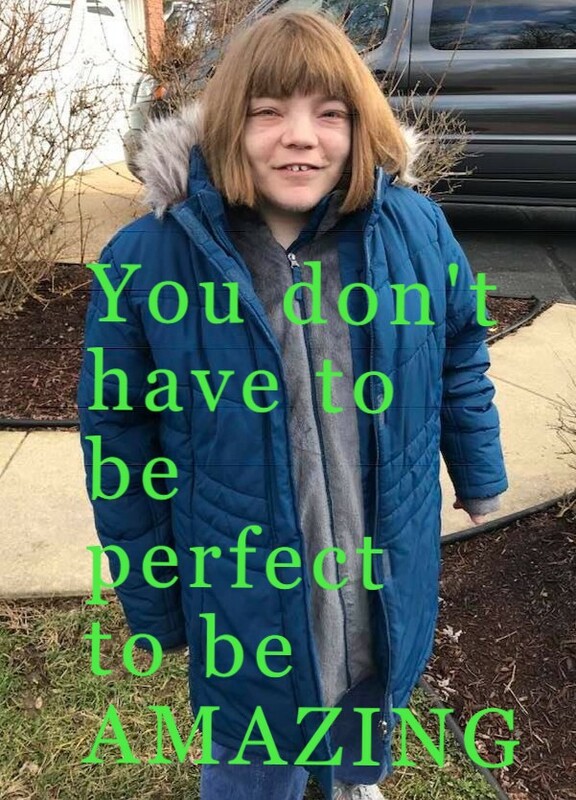 "You don't have to be perfect to be amazing." Something all little girls should hear. I think it would raise their self esteem and making them more caring individuals. Love your cards...You are an Angel for doing this hop!